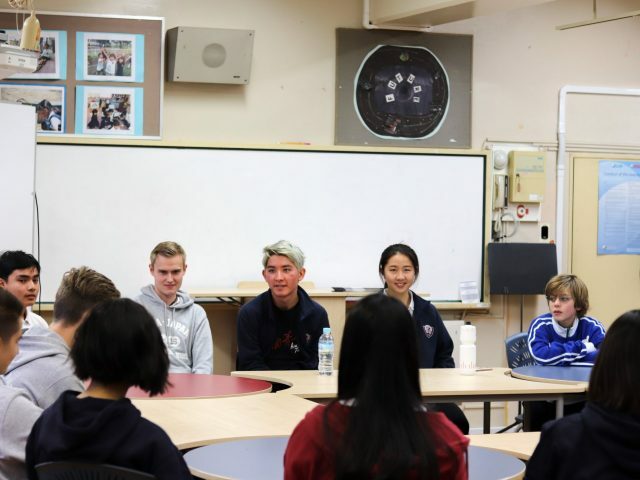 For the first time Tokyo International School asked A-JIS to attend their High School Fair earlier this year. 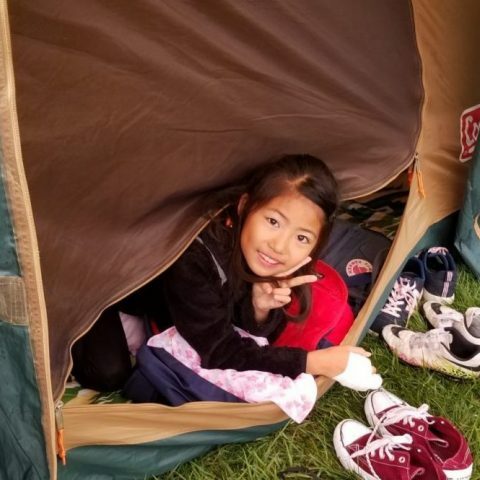 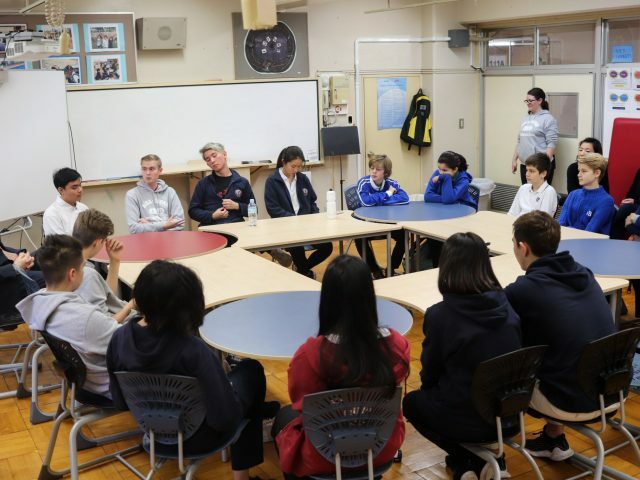 We were among schools such as YIS, ASIJ, St. Mary’s, and Sacred Heart. 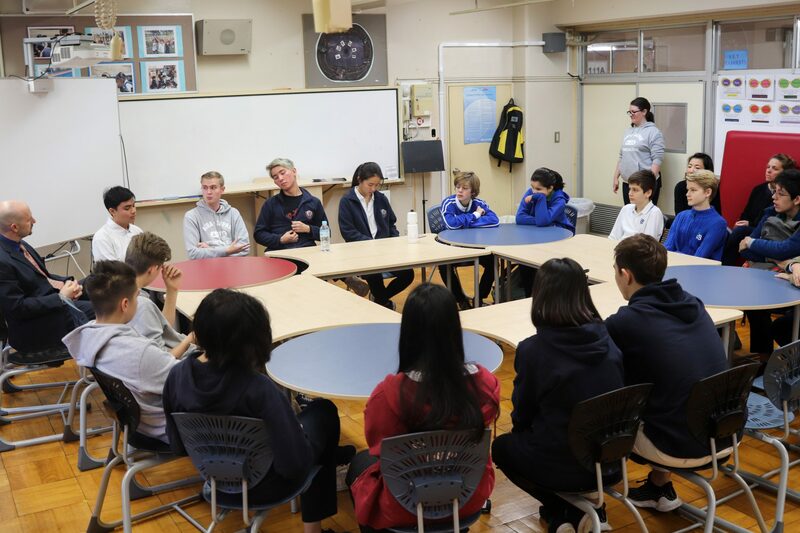 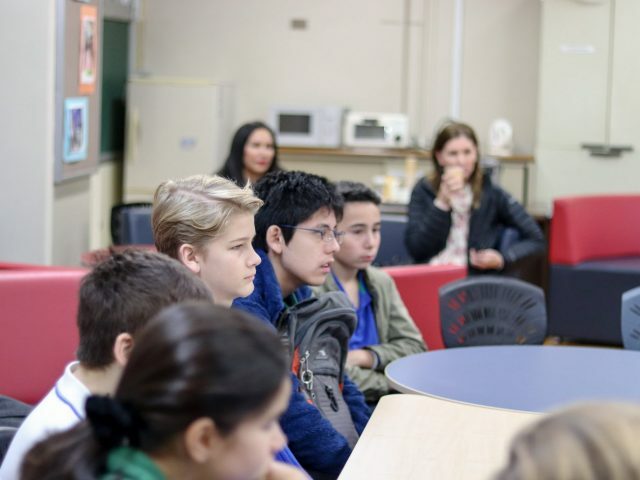 Based on the interest from that event a group of families visited A-JIS to meet with a group of G8-G12 A-JIS students for a question/answer session and to tour the campus. 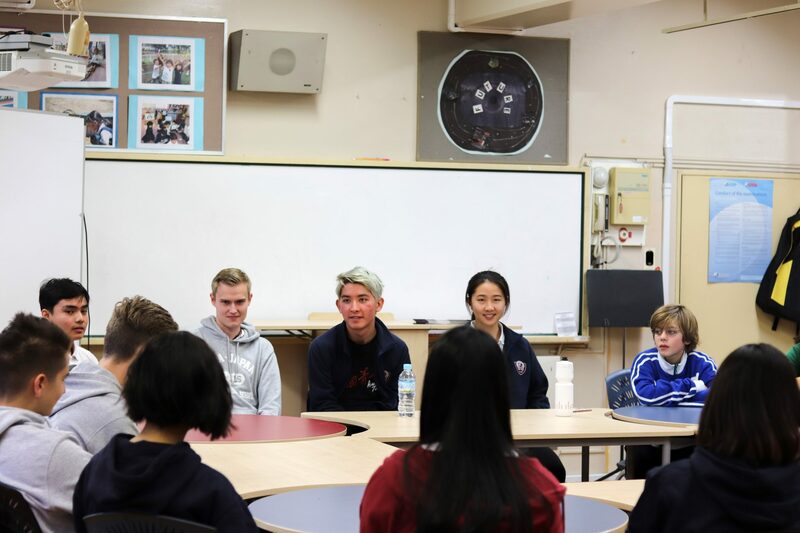 The A-JIS students spoke about G9/10 in the MYP, the DP, and the GLD programs, as well topics such as transitioning into the school, the social scene here, and their thoughts about life after A-JIS. 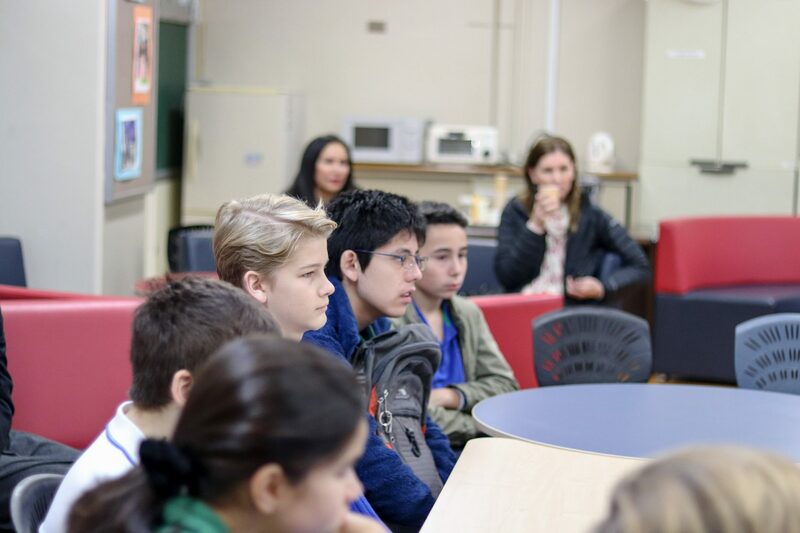 The TIS families were impressed with the open, honest answers, the students’ friendliness, and the facilities; they will be visiting YIS next and then decide where they will apply.